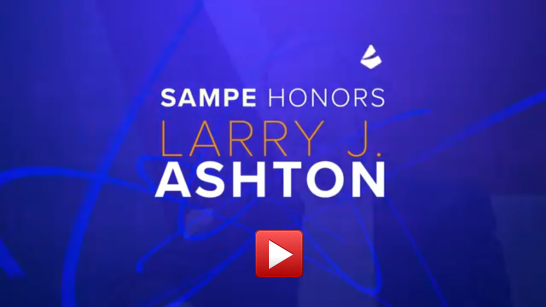 Larry Ashton, an advanced materials pioneer in Utah, was recently posthumously awarded the SAMPE George Lubin Award. He was made aware of the recognition during suffering health but passed away before he could receive the award in October 2018. The Lubin Award is named for George Lubin, an originator of reinforced plastics and pioneer in the development and implementation of advanced composites for primary structures. This award recognizes individuals for their significant contributions to the field of material and process engineering. Click below to see a video of the award ceremony.